More Physics and Astrophysics MSci degree lecture notes and links. Most of the Lecture notes and other material presented in these pages are based on the University of London MSci Physics and Astrophysics degrees as given in previous years. Some of the Lecture notes may be incomplete or unavailable. 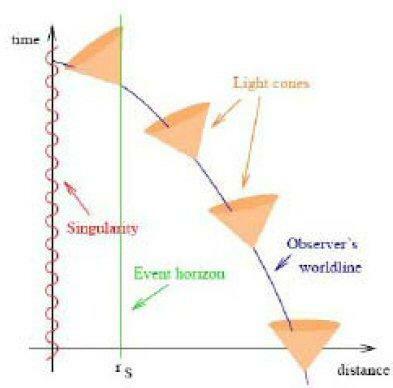 Spacetime diagram: a photon's path is along the inner (diagonal) boundary of the shaded region. A mass carrying particle would be confined to the time-like region traveling forward in time (upward) from past to future. 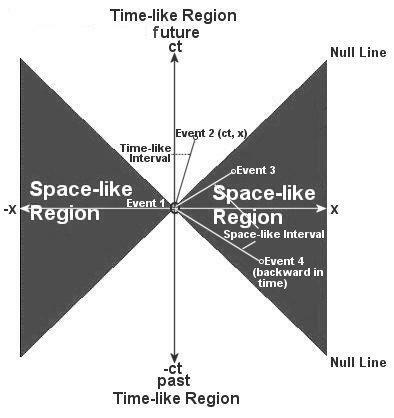 If it were to divert into the space-like (shaded) regions, it would then be traveling faster than the speed of light and escape to infinity. 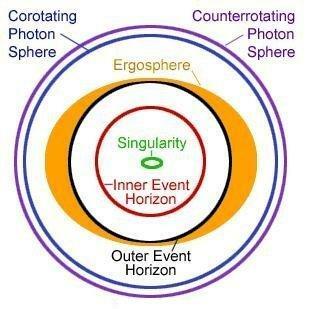 At R = Rg the Schwarzchild radius is the event horizon, but the true singularity is at R = 0. Paper: Can a primordial black hole or wormhole grow as fast as the universe? 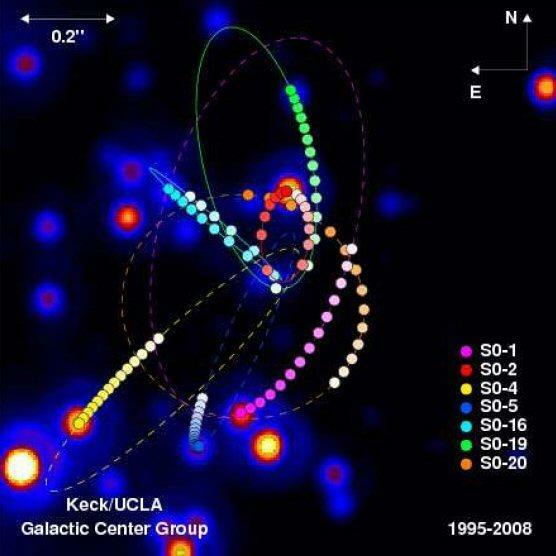 The orbits of nearby stars around possible black hole candidate Sgr-A at the center of the Milky Way galaxy. 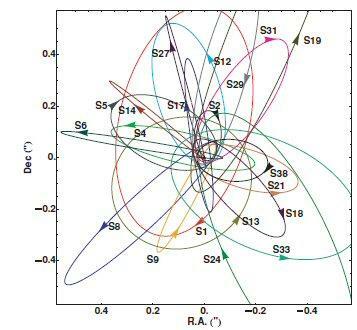 Diagram of the same stellar orbital trajectories and velocities around Sgr A.
Dissipational Galaxy Formation (would be interesting to compare with the star formation rate over the Universe's history). 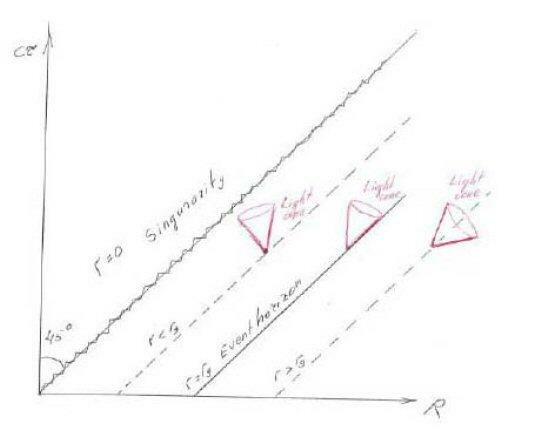 PART 10: Tensor book, Cosmology Pt. 1, PHY413 Quantum Mechanics B (incomplete), 1B30 Astronomy Practicals, High Energy Astrophysics, etc. PART 11: PHY413 Quantum Mech B (QMUL) cont. ASTR5700 Stellar Structure and Evolution (UColorado), 5 misc Oxford short physics options, etc.